In addition to a silent auction, where guests write down bids with the highest bidder winning, the live auction will be hosted by News2’s Chief Meteorologist, Rob Fowler. 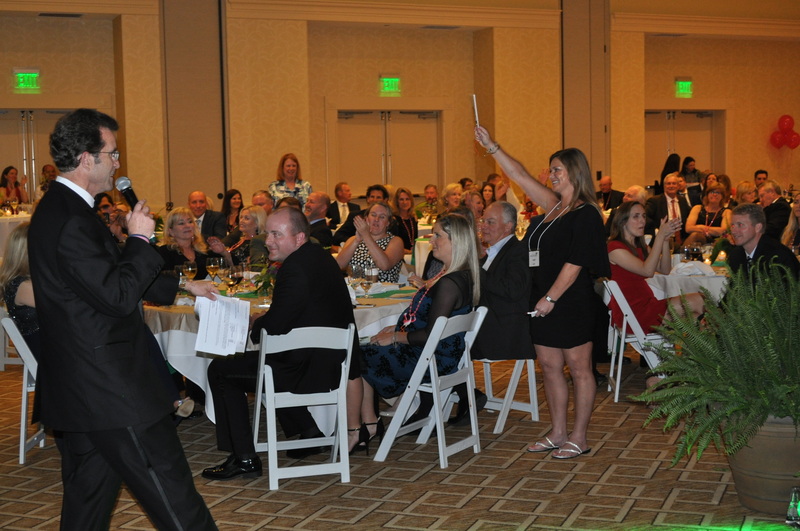 The live auction portion of the night is always lively and fun! Which live auction item do you have eyes on? Beautiful Laurel Canyon steel string guitar with a full package of accessories and six months of weekly guitar lessons. Two-night stay at the charming Church Street Inn, with an eight-course French Historical dinner prepared in your suite. Plus dining gift certificates to the Oyster House and your choice of High Cotton, Slightly North of Broad, or Charleston Chop House. Barbecue and live music in a beautiful, barn-inspired event space at Pepper Plantation—you invite the guests! Accommodations on Isle of Palms in a one-bedroom sea cabin with beach chairs, umbrellas, and entertainment at The Windjammer. Plus dining gift certificates to the Boathouse Restaurant, Yamato’s, and Long Island Café. A week-long stay in a two-bedroom mountain cabin in Waynesville, NC. Includes golf and carts for four at Lake Junaluska, as well as a $100 gas gift card. A three-hour Charleston Harbor cruise for six people on a 57-foot luxury yacht, including hors d’oeuvres. Provided by Sandlapper Events. Staycation for two—Luxury accommodations at Charleston Harbor Resort and Marina, sunset boat tour, golf at Patriots Point Links, spa treatment at The Estuary, guided kayak tour of Shem Creek, and dining gift certificates for RB’s Seafood, Carpentier’s, Page’s Okra Grill, and Coleman Public House. Golf Osprey Point, then enjoy another round at your choice of Turtle Point, Cougar Point, or Oak Point. Plus two nights at the stylish Andell Inn, dinner at Hege’s French bistro, and brunch at the famous Jasmine Porch at The Sanctuary. Enjoy a four-night stay in a brand new, private lakefront retreat that sleeps 18. The property has five bedrooms and four-and-a-half bathrooms—three floors and 4600 sq. feet of indoor space. This package also includes a $100 gas gift card. Do you have your tickets? Get them today!